Girrrl Stop! : Just Say No! Girrrl it’s springtime which means a time to get renewed, refreshed and rejuvenated! Here in the northeast I think Summer may have kidnapped Spring (cuz it’s hot and I’m having to run my air already!) but nevertheless it’s that time of year to focus on you and renew your spirit! In the month of May I’ll be giving you some suggestions for renewal that will surely jumpstart you into a refreshing! If you’re already doing the suggested things then pass it on to another sister in Christ - don’t be stingy!! Saying yes to things that don’t fuel your spirit is a sure-fire way to be perpetually drained! Saying yes to things you do not want to do will leave you depleted. You know you didn’t want to chair that program but you said yes anyway! Girrrl you know, you didn’t feel like going to dinner for the 3rd night this week but you went anyway (and then you side-eyeing folks all the way through dessert!) This is not how God wants us to be: drained and depleted - I mean even He rested! When they ask you to go out to that event on Friday evening after you dun worked all week: "Girrrl, now you know I ain’t going!" If you want to truly get renewed this renewal season you gotta learn to say NO to the things that don’t fuel your spirit! Just say NO!!! Your friends will be okay, your children will live and your church will still be standing after your ‘refreshing’! Mark 2:22 says, “And no one puts new wine into old wineskins; or else the new wine bursts the wineskins, the wine is spilled, and the wineskins are ruined. 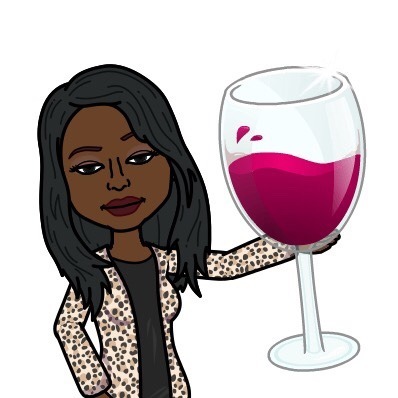 But new wine must be put into new wineskins.” Due to the process of fermentation, the old wineskins (bottles) don’t have the strength to hold the new wine causing a two-fold loss: the bottle and the wine (did somebody say: Moscato please!). When we run, run and run some more we become worn out and torn down. In that state we aren't of any use to anyone including ourselves. You have to learn to say NO to some stuff so that you are not in this constant state of “ran-downess” (yeah I made it up). Girrrl, if you start hearing the comment, “Ooh you look tired” (try to refrain from charging at this person and choking them with your freshly manicured hands!) then that may be an indicator that it’s renewal time! God is trying to do a new thing in you in a new season but he can’t put fresh wine in an old bottle (did somebody say: Red please!). Take the time to be renewed so that you are strong enough to continue your journey! Say NO to some stuff so you don’t become run down and you can leave room for the things that truly fuel your spirit! You are beautiful! You are unique! You are success embodied!